We offer a range of high-quality scrambling courses across the UK from beginner to advanced levels. The courses are tailored to your ability and delivered by the UK's highest qualified instructors. This two day course is the best place to start if you haven't done any scrambling before. Our highly qualified instructors will ensure you get to sample some of the UK's finest scrambles and that you develop the skills needed to be able to go scrambling independently. Every aspect of this course can be tailored to your specific needs. 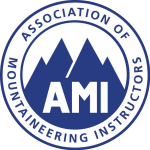 This two day course is ideal if you already scramble and want to develop the skills to be able to tackle harder scrambles using a rope. We'll start by establishing what you already know and then build up your skills, judgement and ability so that you can independently lead scrambles with confidence. This option is ideal for anyone who wants to be guided on interesting routes and have a great time scrambling. The day/s out will be fully tailored to your needs by our highly qualified instructors. So whether you'd like to do specific ‘classic’ routes or try scrambles at a chosen grade, we can do it.